When you move RemoteApp to Azure, you get to take advantage of the storage, scalability, and global reach of Azure without having to worry about a complex on-premises configuration. Microsoft provides maintenance of Azure, ensuring its reliability, freeing you up to focus on more important issues, like creating the best apps for your business to use. Another advantage of Azure RemoteApp is the accessibility – your users can access RemoteApp programs from Windows, iOS, Mac OS X, and Android devices. They can use your apps in the environment they prefer, while you use the Azure management portal to manage those apps. Read on for more information about RemoteApp, or, if we have already convinced you, try it out now. 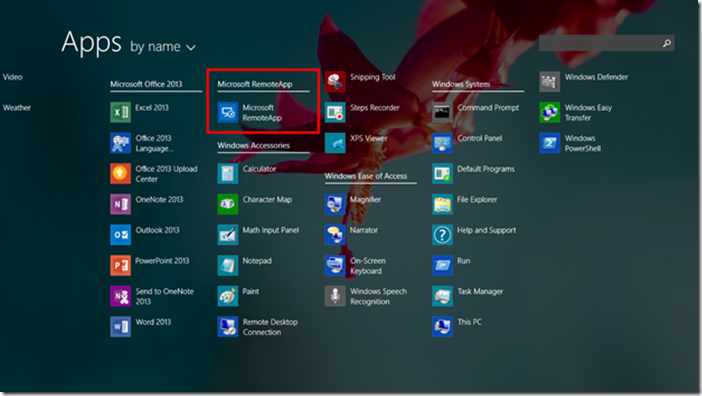 Azure RemoteApp is part of the Microsoft Virtual Desktop Infrastructure.